You've heard all about the usual benefits of converting to LED light bulbs, but a new scientific discovery has shown that LED technology might be worth a second glance. Studies done by researchers from the University of Southern California (USC), University of California, Los Angeles (UCLA), and Philips Research in the Netherlands have shown that mosquitoes are significantly less attracted to customized LED lighting than compact fluorescent lighting. Certain mosquitoes are carriers of malaria, one of the deadliest diseases in the world. An estimate of 300 to 600 million people are suffering from malaria globally every year. And within those people, 2 to 3 million of them are killed by the disease. Malaria is caused by infection with the Plasmodium protozoa transmitted through the bites of female Anopheles mosquitoes. After 1-4 weeks of entering the body, the parasite re-enters the blood stream to start invading the red blood cells. Since red blood cells help carry oxygen throughout the body, this can create detrimental physiological effects for the human victim. Symptoms of malaria often include fever, chills, nausea, vomiting, and aches. If not treated promptly, malaria can result in vital organ damage, coma, and death. Even though malaria is preventable through vaccination and curable if diagnosed and treated immediately, there is no guarantee as the parasite is quickly becoming resistant to current drugs. Especially in Sub-Sahara Africa, which accounts for 90% of the cases that occur annually, low-cost drugs are quickly becoming ineffective. This does not mean the rest of the world is immune from this disease. 1,500 causes are still diagnosed in the United States annually due to travelers returning from abroad. Remember to consult your health-care provider on preventative measures if you're planning to travel to a malaria-risk area soon. Why Might LED Lights Help? If you've ever sat outside your porch on a summer's eve, you might notice you've got some unwanted company from some pesky insects dancing around your porch light. There are various theories for explaining this phenomenon, none of which have been fully scientifically confirmed as of yet. A popular theory, however, is that some insects are attracted to light because it helps them with navigation. Certain bugs and insects like cockroaches and butterflies, however, are repelled by artificial lights, while others, such as the malaria-carrying mosquito, are attracted to lights that give off wavelengths of a certain color. USC Professor Travis Longcore teamed up with UCLA students and senior scientist Andre Barroso at Philips to design an LED light bulb that would repel insects while maintaining white light for household use. They tested their customized LED bulbs against traditional LED bulbs, compact fluorescent bulbs, and a control group with no bulbs. They placed each bulb in a soapy pan trap around several rural areas throughout Los Angeles County. The customized LED bulbs were brighter than traditional LEDs and compact fluorescents, but they attracted 20% less insects. 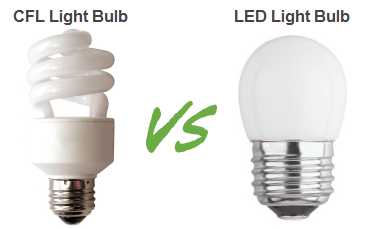 LED bulbs in general emit less UV and blue wavelengths of light, which many insects are attracted to. This discovery suggests that LED bulbs can not only be customized to help the environment but people as well. "For places in the world where glass windows and screens are uncommon, reducing insect attraction to indoor lights is a big deal," Longcore remarked. Hopefully, this new finding can unlock a future without malaria. Scientists have also found evidence that these blue-toned lights are actually more harmful than we think. Blue light emitted from your computers and smartphones are disrupting your circadian rhythms. Besides reducing sleep quality, exposure to blue light is also positively correlated with obesity, diabetes, and cancer. So maybe it's time to replace those light bulbs at home with some advanced LED lights?